Get the Nutrient Power of 9 Pounds of Assorted Veggies… Now with Nutriose® for Better Absorption! Dr. Sears’ original Super Greens formula delivers the nutrients you’re missing from your diet and drags deadly toxins right out of your body… Now his NEW formula is even better, thanks to the patented soluble fiber Nutriose®. This unique type of fiber improves the absorption of Super Greens powerful “super foods.” By ramping up energy to your cells, Nutriose® multiplies Super Green’s healing and detoxifying power. Nutriose® is clinically proven to enhance mineral absorption and promote the growth of “friendly bacteria.” These are the “good guys” that improve your digestion and help you keep your GI tract clean and healthy. Just 2 teaspoons of Super Greens a day feeds every cell in your body and helps eliminate the toxins hiding in your blood, tissues and organs. Today’s commercial farmers are under a lot of pressure. With narrow profit margins, they grow fruits and vegetables designed to look good. That means they’re often little more than pith and water. And harsh fertilizers leave the soil with few – if any – minerals to nourish the plants. Super Greens comes to the rescue with powerful green “super foods” like barley grass, spirulina and chlorophyll. These 3 superstars are the core of Super Greens’ disease-fighting formula. But you’ll find over 40 other nutrients designed to boost your energy levels and give you a single source of total nutrition. 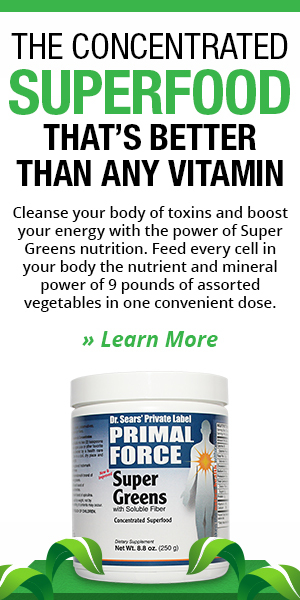 Super Greens is more than just vitamin replacement or a great way to clean out your body. 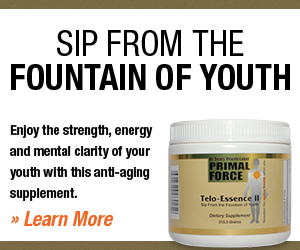 It’s a complete system that heals and empowers your body over time. With its unique cumulative effect, Super Greens has an unmatched track record. Dr. Sears’ files are full of stories and testimonials from customers all over the world. These are the people who gave Super Greens a chance and are getting life-transforming results. Your modern body needs a good detox… So put Super Greens to work for you today*! Take Advantage of This Special Offer And Buy It Now ! * Read carefully our disclaimer in Our General Terms And Conditions. This product is not intended to diagnose, treat, cure or prevent any disease.